Today’s recipe is all about thinking outside the box… of pasta that is! Our low-carb zucchini lasagna roll ups are a pasta-free version of a classic. Stuffed with ricotta, lots of meat and bubbling with cheese – I promise you will not miss the pasta. I always forget how long lasagna takes to make, until I’m about 45 minutes into the process and questioning my own sanity. Last year, I made zucchini lasagna for the first time and never looked back. After several batches, I’ve perfected my recipe with little tweaks (like salting the zucchini to remove moisture) that have made it the best zucchini lasagna ever! However, the one issue I run into with that recipe is that (just like regular lasagna) it can be a bit tricky to cut up. 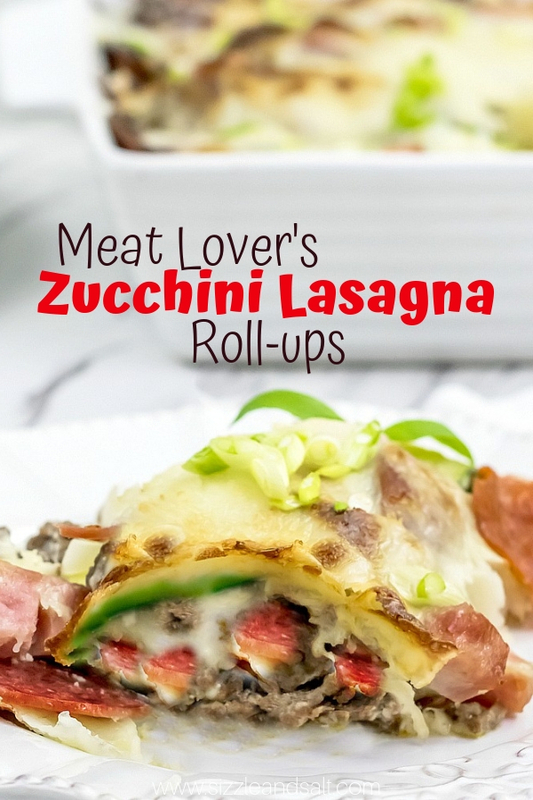 So, I thought I’d give the lasagna roll-up trend a try, but with a low-carb zucchini twist! 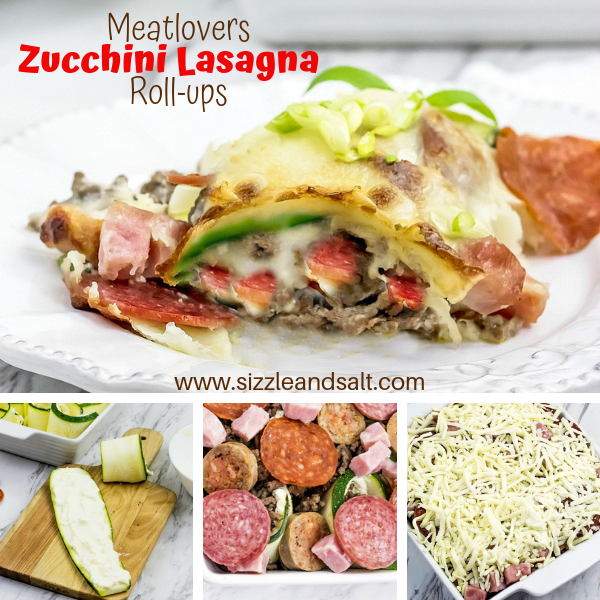 Our low-carb zucchini lasagna roll-ups are quick, light, keto and gluten-free. What more could you ask for in a comfort food recipe?! For my low-carb friends, I consider 3 of these roll-ups to be one serving as I usually need two or three to feel full. (If you are serving it with a side salad you will probably only want two.) 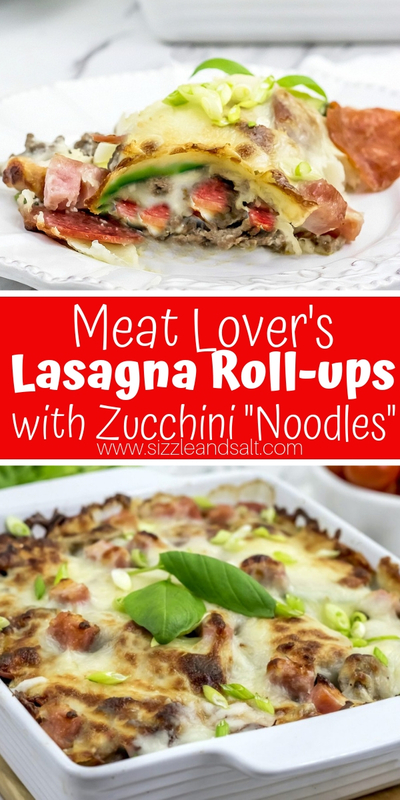 Each of these zucchini lasagna roll-ups comes in at 3g net carbs. Three of these zucchini roll-ups come in at 8g net carb (per serving). The big carb kicker here is the pasta sauce you use. My homemade marinara sauce is a great low-carb option and there are several store-bought options available, too. 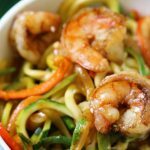 Zucchini makes a great pasta alternative. 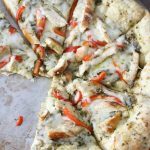 It takes on the flavors of whatever it is cooked with, making it very versatile. It can be cooked to be tender or crunchy, depending on your personal preferences. Zucchini is technically a fruit – not a vegetable – contains zero fat, and is high in water, fiber, vitamins (B6, riboflavin, folate, C, and K) and minerals (like potassium and manganese). Among many other benefits it lowers blood sugar levels and supports heart health and circulation. Now, for this recipe to avoid being too watery, I like to salt the sliced zucchini to extract some of the water before assembling the lasagna roll-ups. 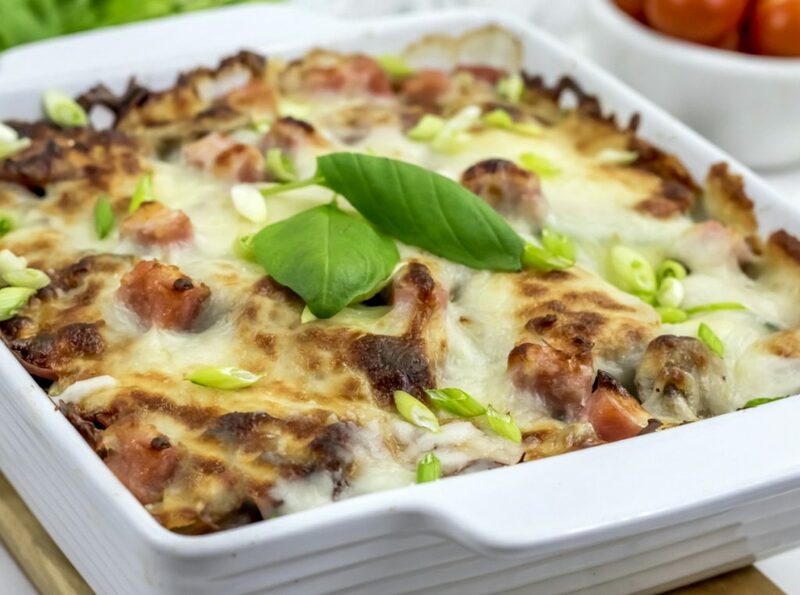 If you’d prefer to leave out the salt, you can cook the lasagna without the mozzarella cheese, with the lid off, for about 15 minutes and then top with cheese for the last 5 minutes of cooking time. How do you slice zucchini for lasagna noodles? I highly recommend using a mandolin slicer for this recipe. If you don’t already have a mandolin, it is a small, inexpensive kitchen slicer that results in perfect, thin slices of vegetables or fruit – every single time! 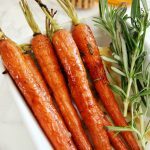 You can also use it to make perfect matchstick or shoestring vegetables, and it’s way easier than trying to get perfect, even slices with a kitchen knife. Can zucchini lasagna be frozen? Honestly, thawed zucchini or zoodles just turns to mush so I do not advice freezing this recipe. It will keep for 3-5 days in the fridge after cooking. If you need to prep a bit of this recipe in advance, I recommend seasoning and cooking the meat and then freezing in an airtight tip-top bag for up to 3 months. Scroll down to the printable recipe card for exact measurements. Slice the zucchini to less than 1/2″ thickness, preferably closer to 1/4″ thickness. 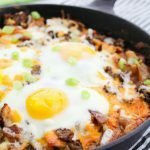 Season the ground beef with Italian seasoning and cook in a skillet over medium heat until cooked through, about 8 minutes. Stir occasionally. Mix the ricotta, egg and ground beef together until combined fully. Place about 2-3 Tablespoons of the filling onto each zucchini slice and roll. Place in an 8×8 pan. Top zucchini lasagna rolls with the remaining meats. Pour sauce over the meats. Top with Mozzarella cheese and then cover baking dish with tin foil. Bake for 20 minutes, then remove tin foil and continue baking until cheese is bubbly and golden, about 5 additional minutes. A lighter version of the classic lasagna without all the time layering! Slice the zucchini to less than 1/2" thickness, preferably closer to 1/4" thickness. 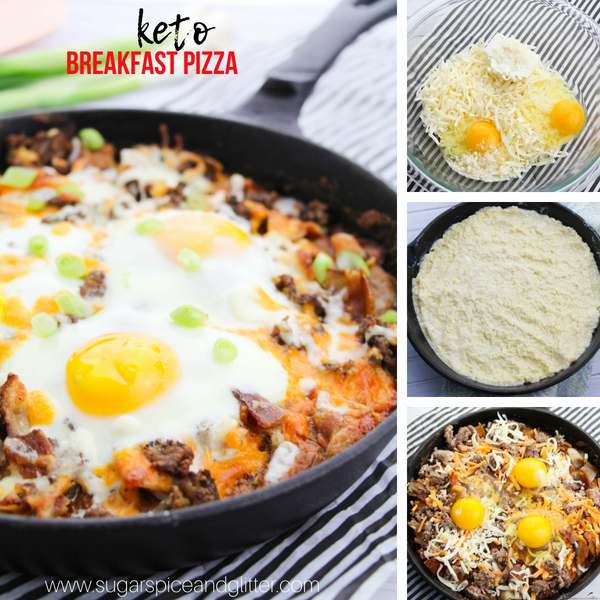 Mix the ricotta, egg and ground beef together until combined fully. Place about 2-3 Tablespoons of the filling onto each zucchini slice and roll. Place in an 8x8 pan. If you don't want to remove the excess water with salt, do not top with finished lasagna rolls with mozzarella cheese. Leave off the tin foil so that the water bakes off. At about the 15 minute mark, top the lasagna rolls with the mozzarella cheese and continue to cook until the cheese is bubbly and golden and the lasagna rolls are cooked through. 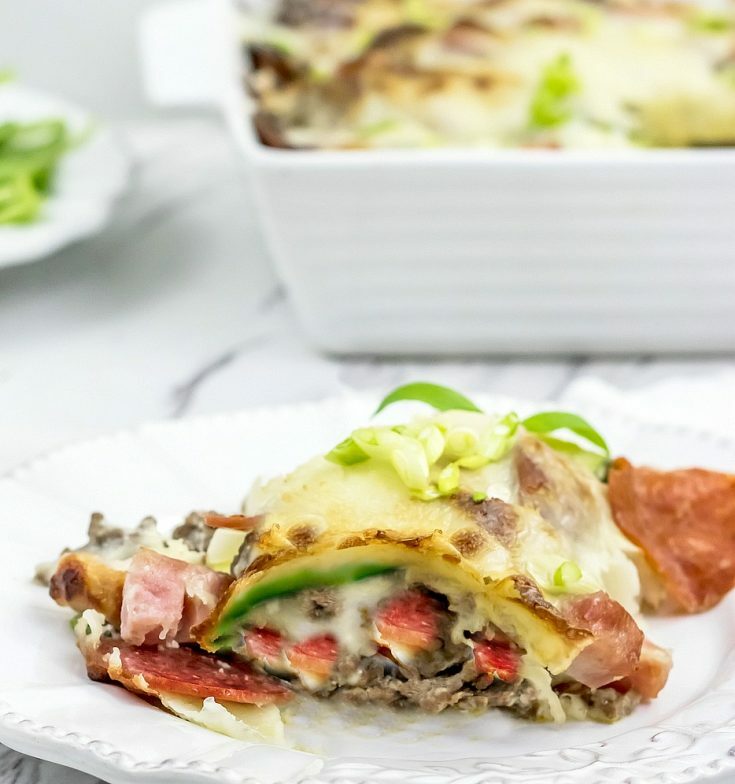 This low carb lasagna recipe is packed with tons of protein for a filling, comfort food that the whole family will love! 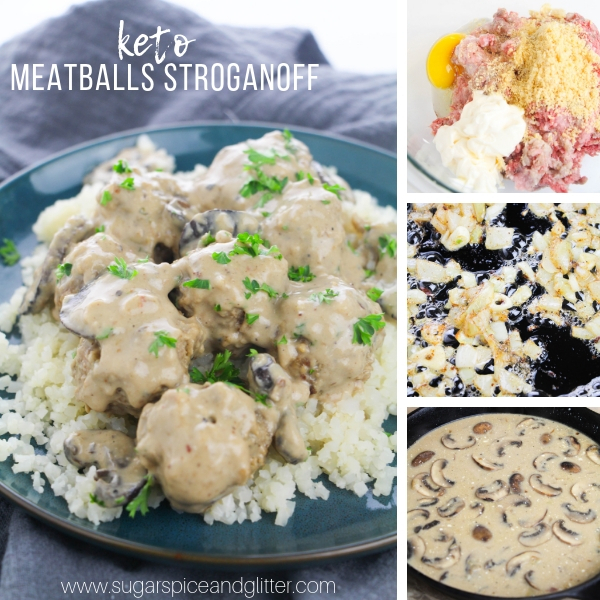 For more delicious meat-filled dishes, check out our Meat lover’s Fathead Pizza or our Keto Meatball Stroganoff.